The hardest part of fishing is not catching the fish. It’s actually finding the fish. Even someone who has never wet a line before can load the boat with fish if they’re around a big school. Finding quality bass is what separates the great anglers from the average Joe.With tournament fishing, anglers have a limited time prior to the event to find enough quality fish to last several days. In this blog entry, I will go into detail about the right way to practice for a tournament and how I like to approach it. Call me old school, but I truly believe every angler should put in their time and find their own fish. In today’s tournament scene it’s become as rare as finding a truly original lure design at ICAST. 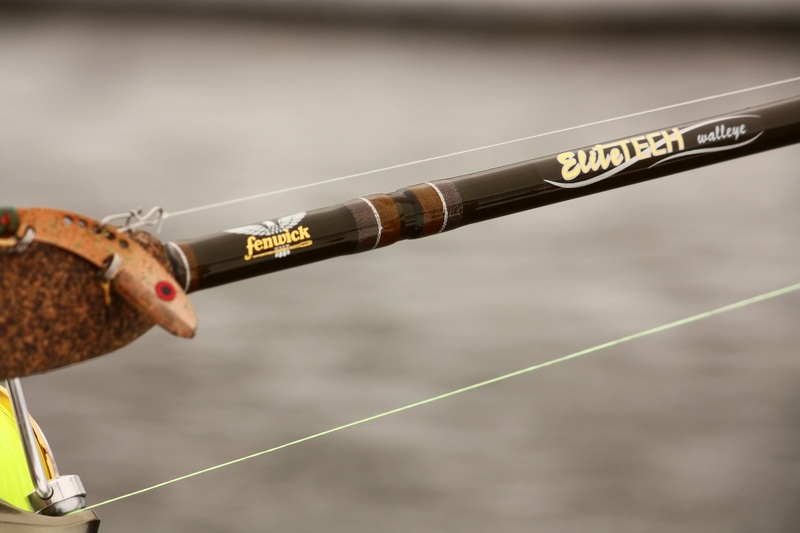 Many of today’s tournament anglers have become dependent on local information. Most of these anglers try calling up local sticks and friends near the tournament waters to try and barter for precise GPS waypoints. Others go the route of hiring guides to show them patterns and spots on the lake that are producing that time of year. As much as I dislike local information, I dislike when anglers practice the “bent pole” pattern or the “buoy marker” pattern even more. This is something I have seen a lot on northern lakes in the summertime when bass get offshore. Anglers simply ride around looking for other boats. When they find one, they drive by within shouting distance. If they see that the boat has a buoy marker out or they see the angler in the boat has a fish on, they hit the waypoint button on their GPS. Later, they come back to the waypoints and fish the spots the other angler had found. I lose respect for anglers that I see partaking in this practice. Some reading this blog may say to themselves, what’s wrong with any of this? First and foremost, it takes away from the true spirit of the sport. The other problem with it is that the angler doesn’t truly learn how to find fish on their own. When those waypoints they didn’t earn fail, they’re lost and don’t know how to find fish on the fly. Patterns and spots fail to produce quite often. If an angler doesn’t know how to find fish quickly, their tournament can be over in a heartbeat. So let’s take some time to go through the way I approach practicing for a tournament. I like to break practice down into two parts. Research and scouting is part one. This part of practice is done before the boat ever hits the water. Research and scouting is more important and more intensive for fisheries I have never been to before because the learning curve is greater. If I have no past experience on a fishery, then I don’t know where to focus the most scouting and what I can eliminate early. 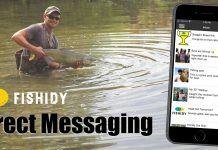 The most powerful research and scouting tool available to an angler is the Internet. I want to research several pieces of information before I get on the water. The first thing I look for is past tournament results during the time of year I will be fishing there. This gives me an idea of what weights are needed for a top 50 finish, top 10 finish and a win. Knowing this will tell me how much weight I need to be able to catch each day of the tournament.This information also gives me a general idea of the patterns the top finishers were using.If junebug keeps showing up as a color the top 10 finishers were using every single time a tournament takes place on a fishery, then that tells me junebug is an effective color that I need to try in practice when I get there. The next thing I look for is water body parameters. This includes water temperature, water clarity, water level, recent wind direction and recent precipitation. Knowing this information, will give me an idea of where I need to start my practice and a general idea of what patterns are most likely to work when I get there. For example, let’s say that I’m going to Lake Champlain in June and the water is four feet above normal pool, water temperature is 64 degrees, water clarity is 5 to 8 feet and heavy rains with north winds have recently occurred. This tells me that the water is going to remain high with the incoming water and the wind blowing against the current. 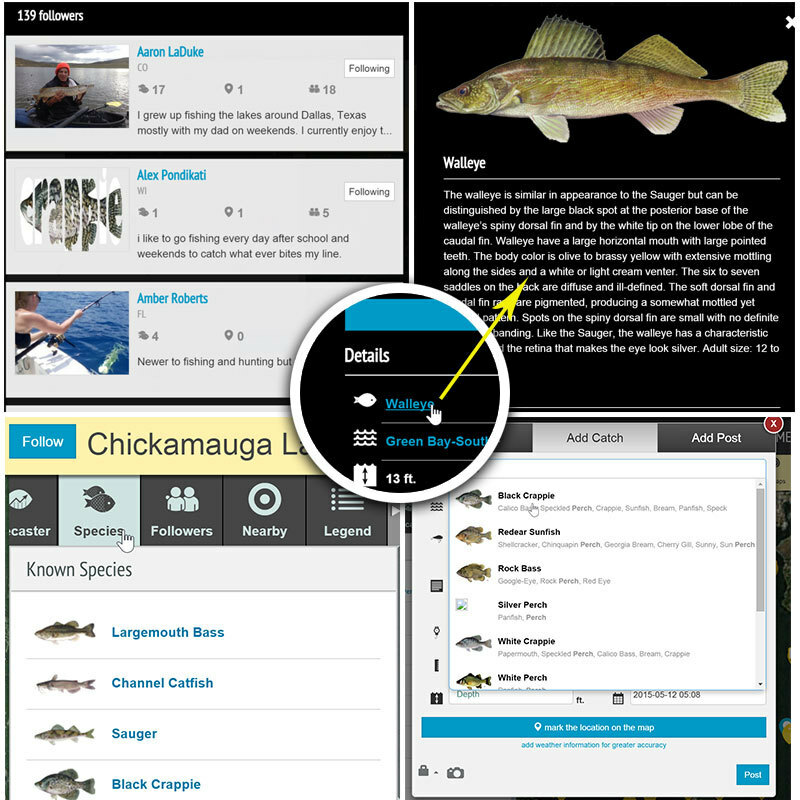 It also tells me that the bass should be spawning, but it will be harder to target the smallmouth because water clarity is reduced and they spawn deeper than largemouth. It also tells me the largemouth should be spawning in newly flooded areas of pencil reeds and standing timber with the high water. When I arrive for the start of practice, I’ll focus my efforts on largemouth in areas that fit that description and then develop a smallmouth pattern as my back up if needed. The Internet is also useful for scouring over aerial images of the various fisheries I will be visiting. The mapping feature on Fishidy.com has made this process even more efficient. 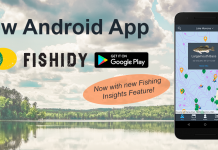 With Fishidy aerial maps, I can scout a fishery visually and look at topographical data and Fishing Hot Spots data all at the same time. For example, perhaps there’s a tournament on Logan Martin in August. I love to fish docks, and that can be a great pattern on Logan Martin in the summer. I want to focus my time on docks that are located close to deep water. 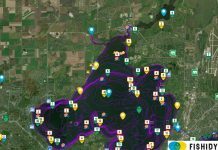 With Fishidy, I can easily see which creeks have the most docks in them by viewing the aerial images. I can eliminate creeks without many docks. The Hot Spots lake contours will then show me which creeks have the most docks adjacent to deep water. This helps eliminate even more water allowing me to be more efficient during practice. I try to spend as much time researching and scouting as I do actually fishing during practice. When I arrive at the fishery for the start of practice, hopefully my research has helped me eliminate a lot of water so that I can focus on a few areas in practice. Time on the water is part two of practicing. I like to spend several days on the water practicing for a tournament. I take the areas I have decided to focus on and break it down so that each day of practice is spent in one area I have selected. A great example would be Lake Champlain. I have several regions of the vast lake where I want to practice. One day will be spent practicing from Windmill Point to Chazy Landing. The next day will be spent in the Inland Sea. Ticonderoga will have its own practice day. Missisquoi Bay will also have a day of practice dedicated to it. A final day of practice will be reserved if all other places failed, or if weather prevented me from practicing any one day. If I feel I have found enough during the previous days, then that final practice day is spent at the camper getting gear rigged for the tournament. If the tournament has an off-limits period and I only have 3 or 4 days to practice, then I just combine days together, i.e. Missisquoi and the Inland Sea combined into one day. By practicing in this manner, I avoid trying to practice all over a fishery in one day, which ends up wasting more time and fuel. My approach to a single day of practice varies depending on the fishery and the time of year. Some days I may have 15 rods on the deck, whereas other days I spend more than half the day just graphing for structure and schools of fish. In general, I spend the majority of my practice day trying to develop patterns or find spots that fit my style of fishing. I love to throw a jerkbait, frog, dropshot, shaky head, topwaters and a chatterbait.Regardless of where I’m fishing, I will try to find a pattern or spot that fits within my comfort zone. On the Potomac River, I will not dedicate a lot of practice time to punching mats even though it’s a great technique there. I will focus on fishing frogs, buzzbaits and chatterbaits because that’s what gives me the most confidence and they are still great lures on the Potomac. A confident angler is a more effective angler. My goal in practice is to get a feel for what the bass are doing and figure out several presentations and areas that will give me the best chance of success during the tournament. I try not to get too hung up on what happened in practice. It’s more of a guideline to show me what the fish were doing and gives me an idea of what they might do as conditions change. As crazy as it sounds, I like to treat the tournament days similar to practice days as well. If a spot I found in practice is not producing the results I envisioned, I’m not going to stay there all day and force the issue. When things do not go as planned, I try to think about the current conditions and what the fish might be doing now instead of what they were doing 3 days ago — very few patterns last for more than several days. A great example of this would be the FLW EverStart tournament at 1000 Islands this year. I had a couple of old cribs that I was catching 2 to 3 lb. largemouth on in practice with a texas rig. During the first morning of the tournament, I fished the cribs for an hour without a bite. Instead of fishing the cribs all day and probably not catching much, I decided to move out to some humps and target smallmouth. I was able to find a school of smallmouth, using a small isolated rock hump, that were interested in a 3” stickbait on a drop shot. I didn’t find that hump until the day of the tournament, but it produced a 15th place finish. Hopefully the insights into how I go about practicing will help you the next time you prepare for a tournament. Remember to do your homework, fish your strengths and fish the conditions, not the past. I think you’ll be pleased with the results. Next articleWhat Good Is Dat Der Fishidy Website Anyways, Eh?